Two double bedrooms. Shower room with shower, basin and WC. Kitchen with dining area. Sitting room with open fire. External utility. Glas Gaibhlinn is a wonderful, detached cottage in Gortahork, a village in Donegal, close to the county’s north west area of the coast. 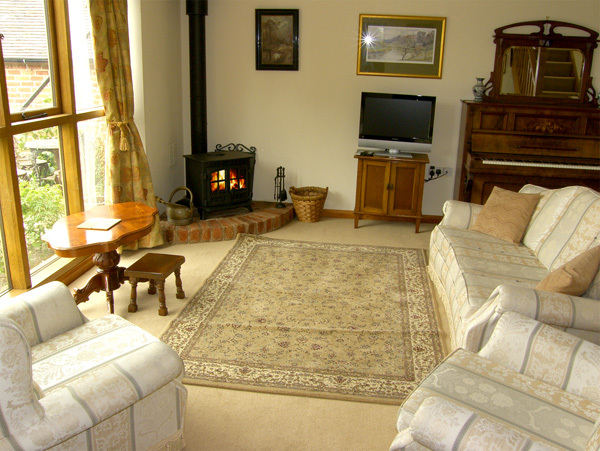 The cottage has two double bedrooms and a shower room, meaning it can comfortably accommodate up to four people. There is a kitchen with a dining area leading to the patio, plus a sitting room with an open fire. Outside, there is off road parking for two cars, plus an enclosed patio with furniture. A great base for exploring the coast, with my award-winning beaches nearby, Glas Gaibhlinn is a wonderful base for exploring this beautiful region. Oil central heating with open fire. Electric oven and hob, microwave, fridge, freezer, washing machine and tumble dryer in utility, TV with Saorview, selection of books and games. Fuel, power and starter pack for fire inc. in rent. Bed linen and towels inc. in rent. Off road parking for 2 cars. Enclosed patio with furniture. One well-behaved pet welcome. Sorry, no smoking. Shop 5 mins walk, pub 10 mins walk. Note: Low head height through front door and small step from porch into sitting room.